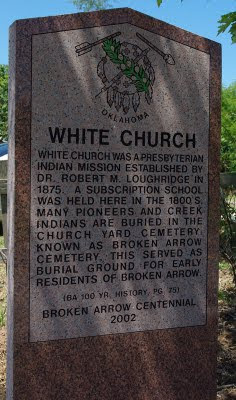 Ordained as a Presbyterian minister in 1842, Robert Loughridge traveled 600 miles on horseback to ask the Creeks if he might establish a mission-school. They wanted a school but no preaching but soon changed their minds. 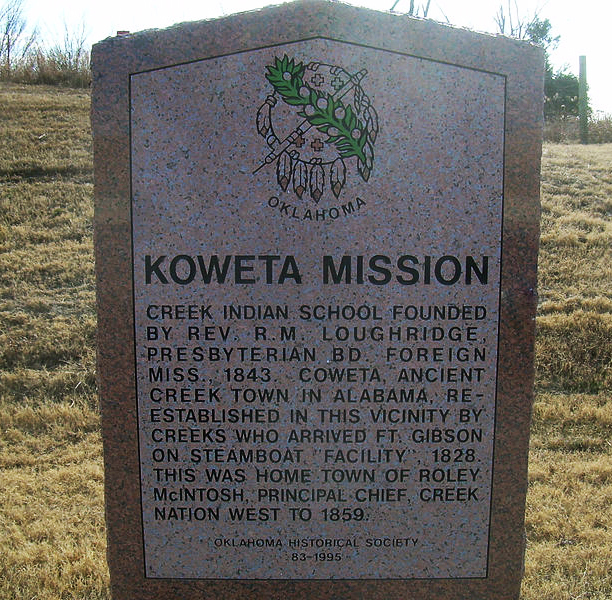 In 1843 he established the Koweta Mission and school, located near present day Coweta. His first wife, Olivia, taught alongside Robert, bearing him two children before passing away in 1845. 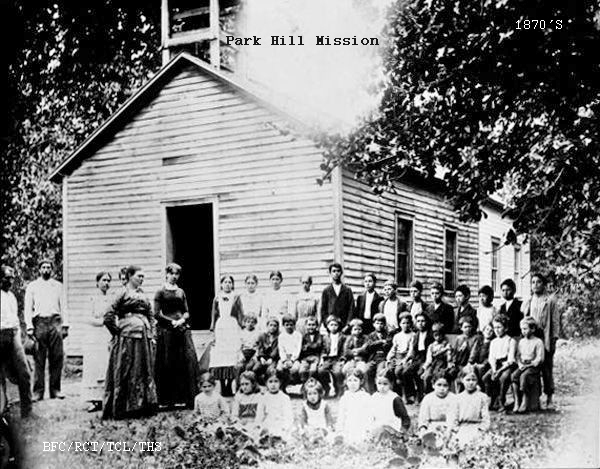 The following year he married another teacher, Mary, who taught at Park Hill Mission (located south of Tahlequah) in the Cherokee Nation. 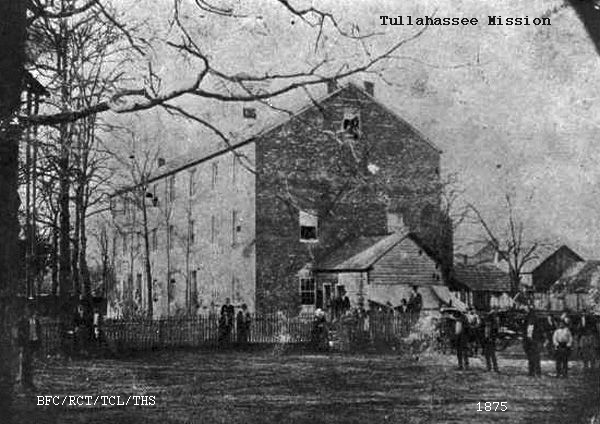 The Creek government established Tullahassee Labor School in 1848, located about 5 miles northwest of Muskogee, and named Loughridge superintendent. He supervised the construction in 1848-1850. Mary Loughridge passed away in 1850. Robert retained his post until the Civil War forced him in to Texas. 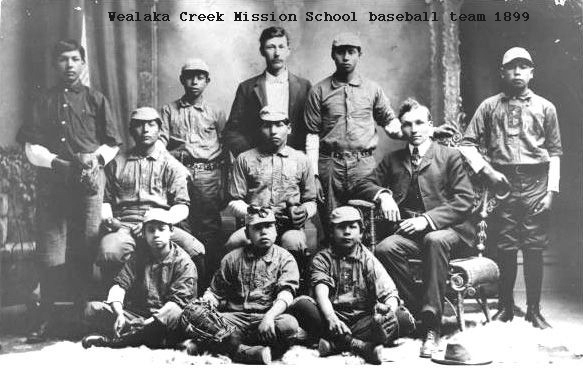 He returned in 1881 to be the superintendent at the Creek Nation's new Weleaka School located between Bixby and Leonard. 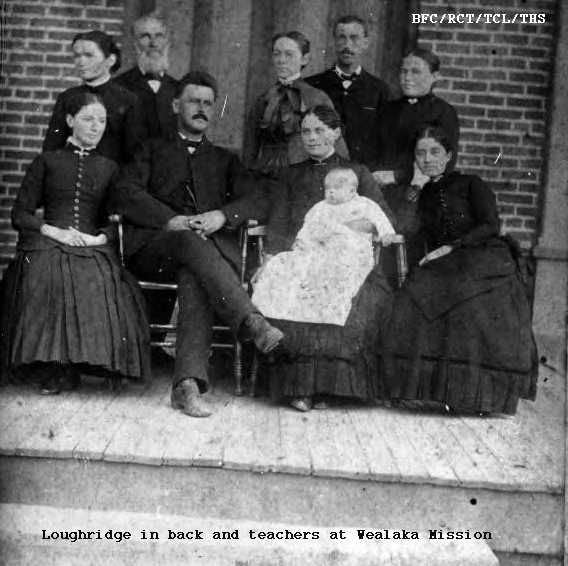 Loughridge became an expert in the Creek language during his ministry to them. 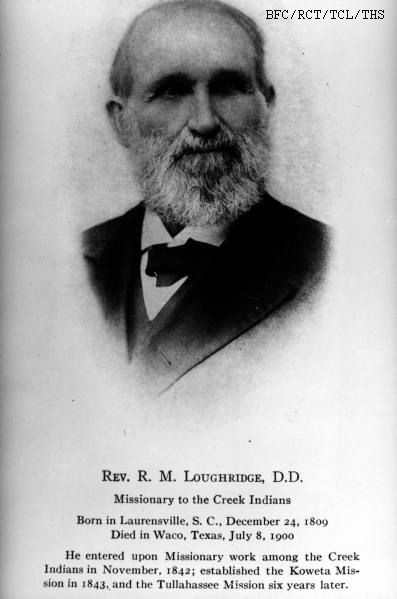 He translated and transcribed portions of the Bible with the assistance of Legus Perryman (one of many grandsons of Benjamin Perryman) and published an English and Muskogee Dictionary with David Hodge in 1890. In the 1870's Creek Indian Daniel Childers built a small church so that Rev. 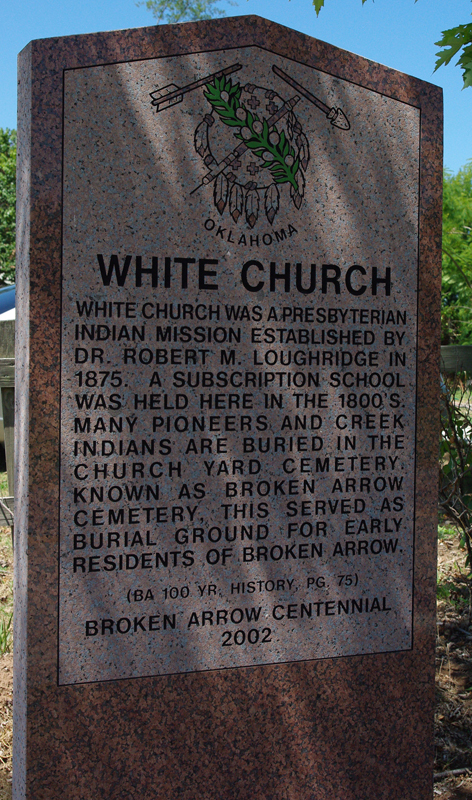 Loughridge would have a place to preach to the Indians in the community of what is now Broken Arrow. 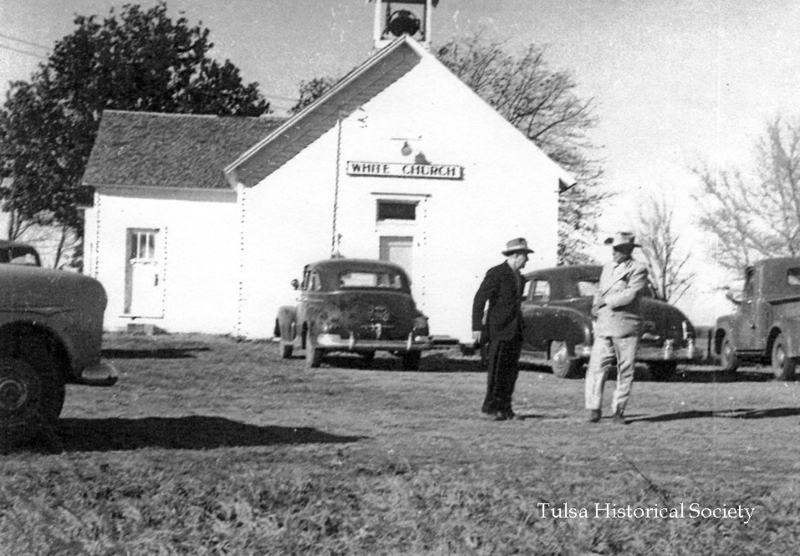 According to the Indian Pioneer History Project, the lumber was brought overland from Coffeyville and it was named the White Church because it was painted white and painted buildings were quite unusual in those days. The five acres adjoining the church lot on the north became a cemetery that was named for Dr. Loughridge. 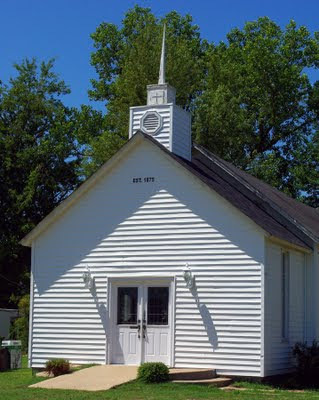 The church was used as a school house during week days in the early 1880's. 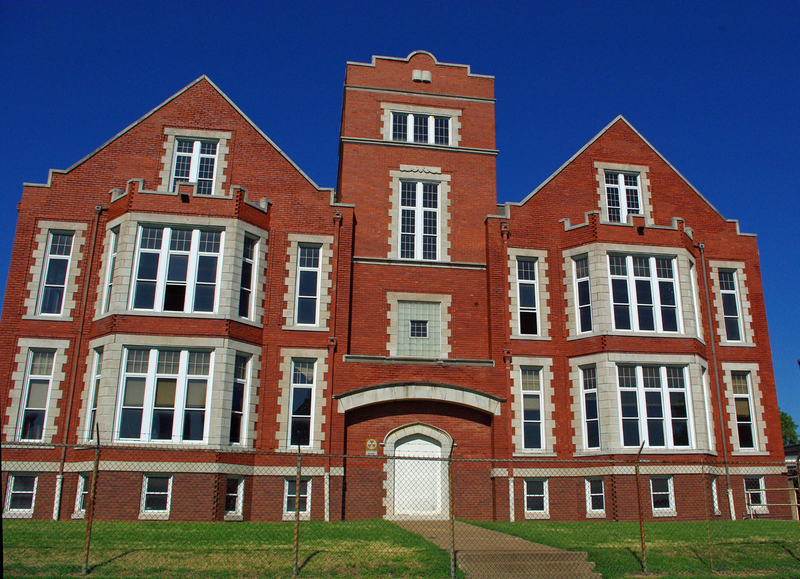 Lilah Lindsey taught at this school between 1880-1885. It was primarily a community church but was looked after by the Presbyterian board. Recently I took a drive by the White Church. It is located on 129th E. Ave and 131st Street. The church still stands proudly, obviously well taken care of although missing the once-cherished bell. It is used by another denomination at this time. In the cemetery the oldest grave is said to be that of Daniel Childers himself who was buried in 1885. The Reverend Thomas Perryman (son of Lewis) lived in that vicinity and also preached at the White Church. One of his daughters, who died at age 3, was buried there about 1883, perhaps one of the first. Her body was later disinterred and placed with her father at Oaklawn Cemetery along with the marker brought from the Loughridge Cemetery. Ed. 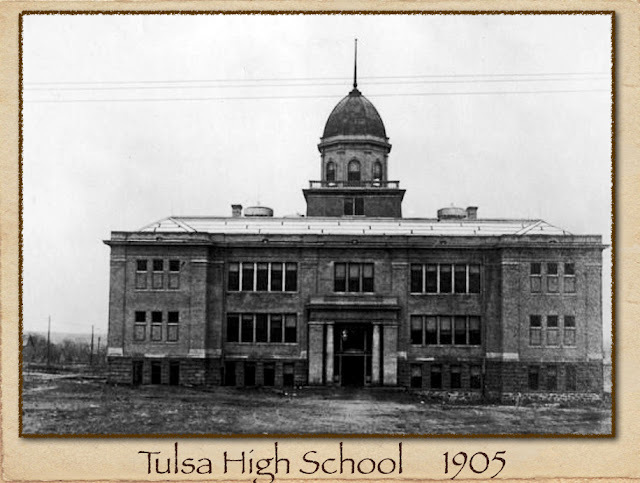 Note: I recently completed a community program for the Tulsa Historical Society about Tulsa's first schools and churches. I thought I would share some of the history here. 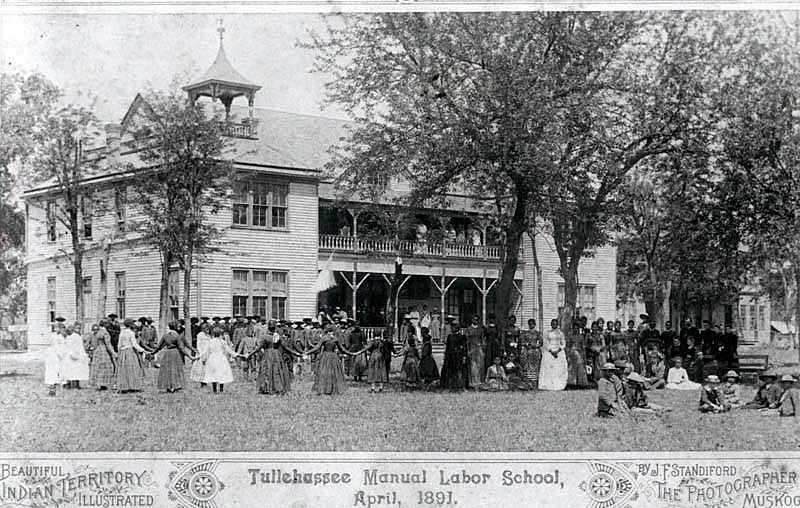 Tulsa was incorporated as a “town” under the pattern laid down in Arkansas law, on January 18, 1898. The first School Board was elected in 1899, their prospect challenging. Over 100 students were attending the 3 church/mission schools and even more would attend if it were free. The schools were running out of space. 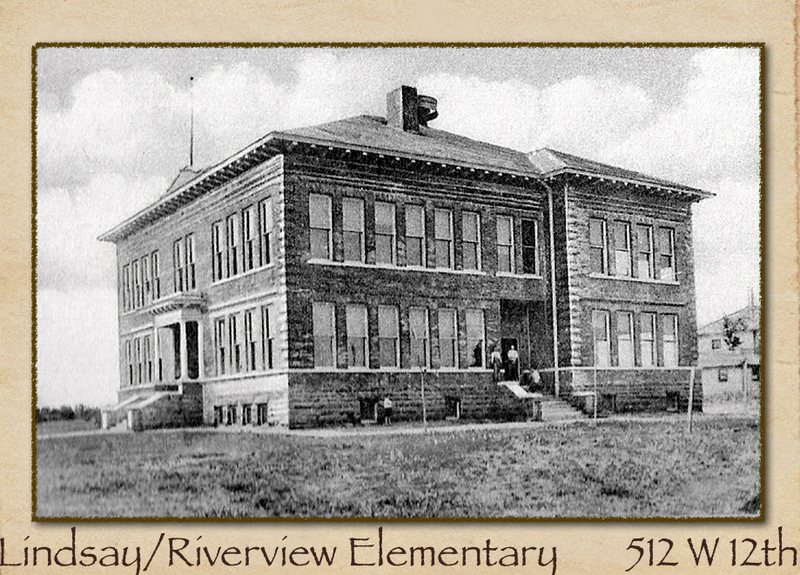 Most of the pupils lived north of the railroad tracks so a school was needed there. The first problem was solved when the Presbyterian Board decided to sell its Tulsa property (located at what is now 4th and Boston). The school board had no money and by law, an incorporated town could not incur debt. Private buyers were clamoring to buy the land. Four Tulsa men stepped forward- Jay Forsythe, R.N. Bynum, J.M. Hall and Joe Price- to save the day…… and the school. 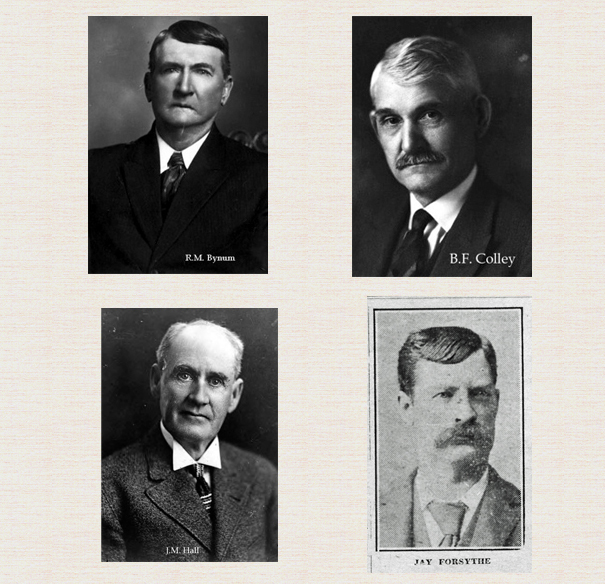 Banker B.F. Colley loaned $1050 to these men who bought the property and held the note until the city was able to repay the principle from tax funds. Immediate improvements were made to the little school building. Two rooms were added above the old ones. Stairways led from the outside to the front and rear doors upstairs. 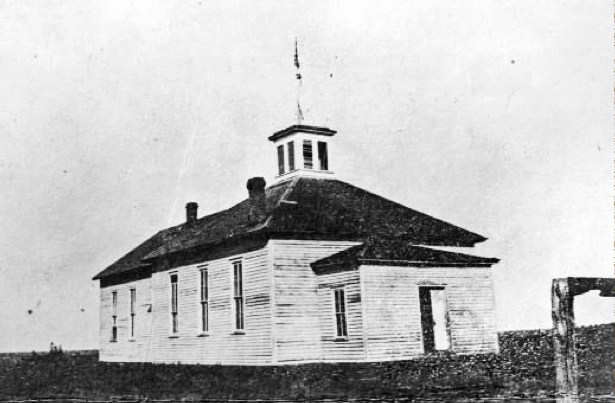 Painted, plastered and newly roofed, the first public school building was a matter of considerable pride. Soon a room on the north side was added for primary grades. The School Board hoped this additional space would last for several years. The picture changed abruptly when oil was discovered at Red Fork June 25, 1901. 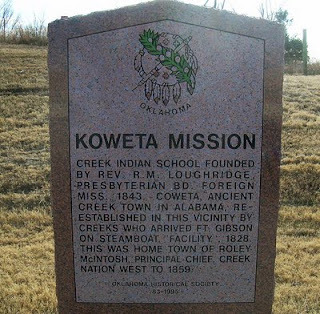 Two months later a town site survey was begun and within the year all residents were able to buy land from the Creek Nation. This increased the tax base but city income failed to keep up with the school population. Make-shift classrooms were opened in any sort of room available. 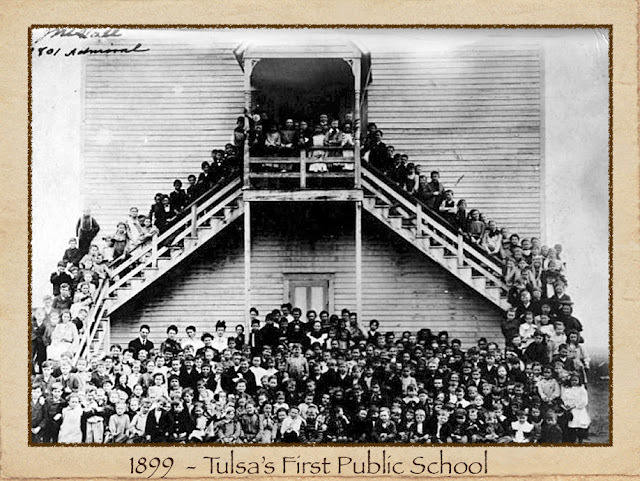 Following the 1905 school term, with joy and sadness, the little white schoolhouse that had served Tulsa for 22 years, was torn down to make way for the new Tulsa High School. 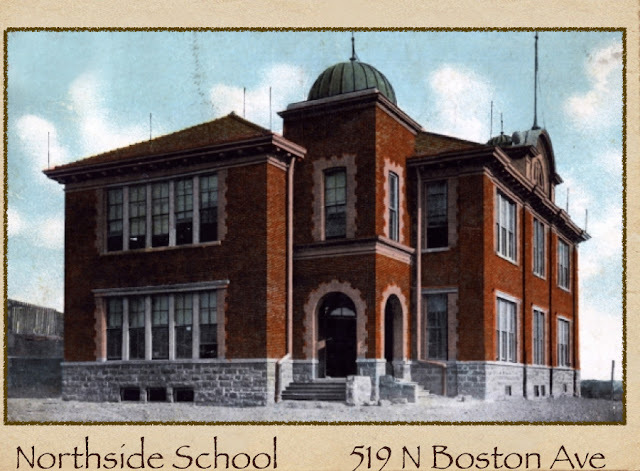 The new buff-colored brick building, which combined both grade and high school classes, boasted 21 classrooms, plenty of good slate boards, ample cloakroom space, a small auditorium and gold-leafed dome. 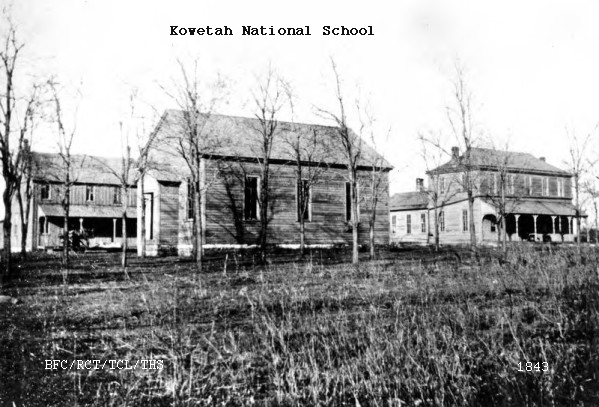 The new school might have been built earlier than 1905 had there not been the rivalry between north and south residents about where to build it. A compromise was finally reached. The south side residents would get their school as would the north side residents. To many children the use of running water in the toilets was the greatest luxury they had never seen. 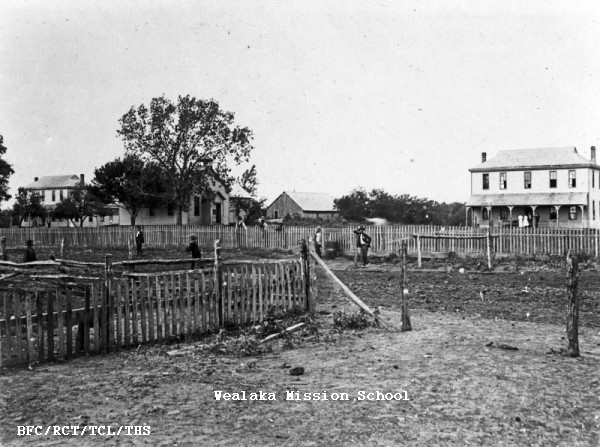 The new school was jokingly called Our Lady of Mud due to the fact that there were no sidewalks or paved streets leading to the school and many got stuck in the mud. Work also began at the same time for the Northside School located at 519 North Boston. The building had eleven rooms and boasted "splendid light, good ventilation, automatic heat regulation and the best sanitary conditions possible". 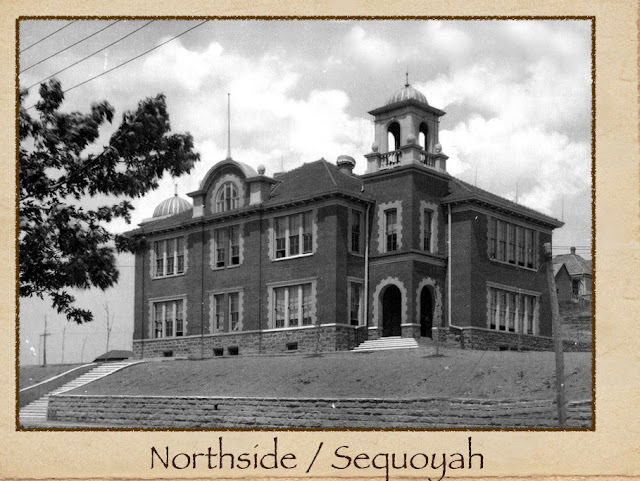 Three years later the school name was changed to Sequoyah and it was expanded to include four ward buildings of eight rooms each plus a bell tower was added. Eleven hundred children entered Tulsa’s two new schools in September 1906- 300 at Northside and 800 in the “south side” school. In 1907 the school buildings again became badly overcrowded with an increase of almost 700 students during that school year alone. New schools couldn’t be built fast enough to keep up. 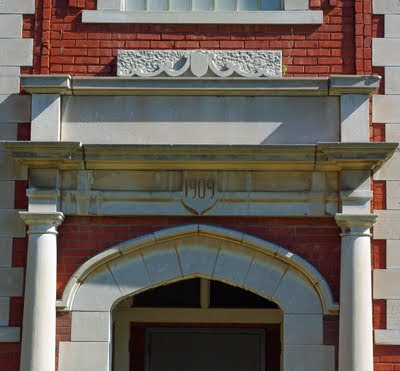 Lindsay Elementary was built in 1907 on the outskirts of town, named after one of Tulsa’s first teachers, Lilah Lindsay. The school was later renamed Riverview in 1917. 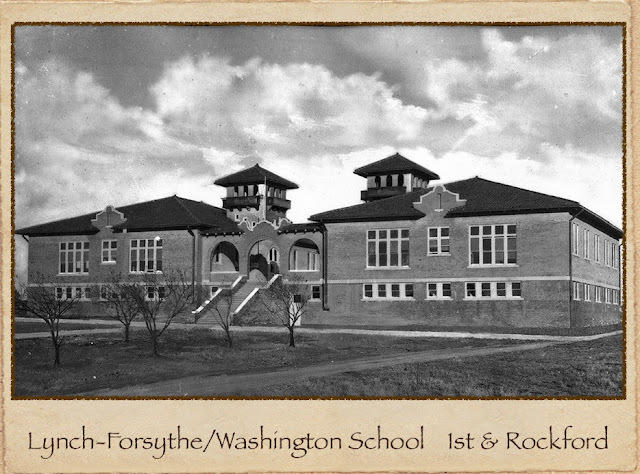 Lynch Forsythe School (later known as Washington in 1914) came along in 1908. Orcutt School was built in 1909 again, on the outskirts of town, at 15th and Peoria. 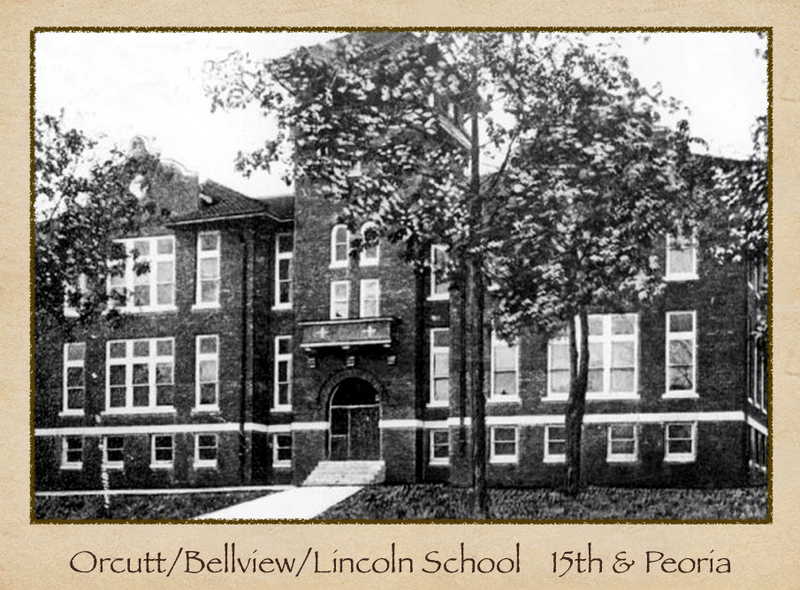 The name changed soon to Bellview and again to Lincoln. 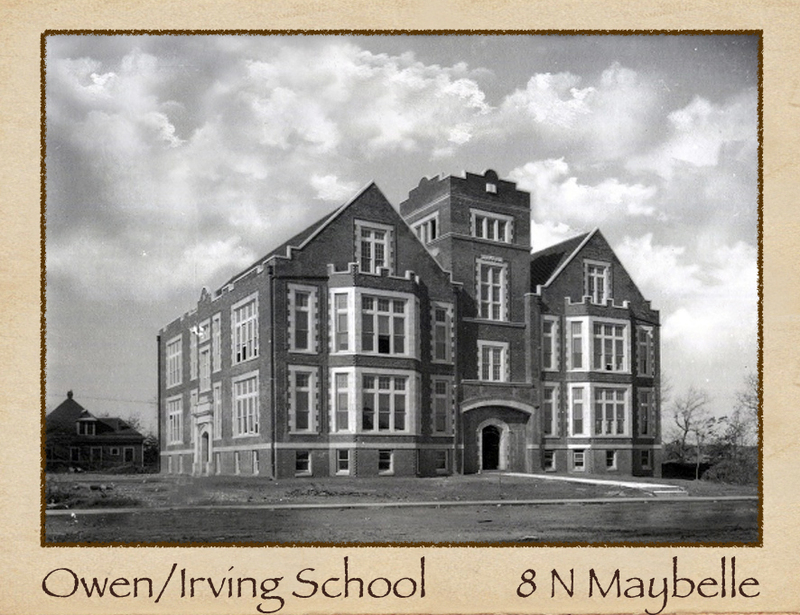 Owen School was also built in 1909, bringing the total that year to eight public schools. Owen changed it's name to Irving in 1918. The building still stands today.